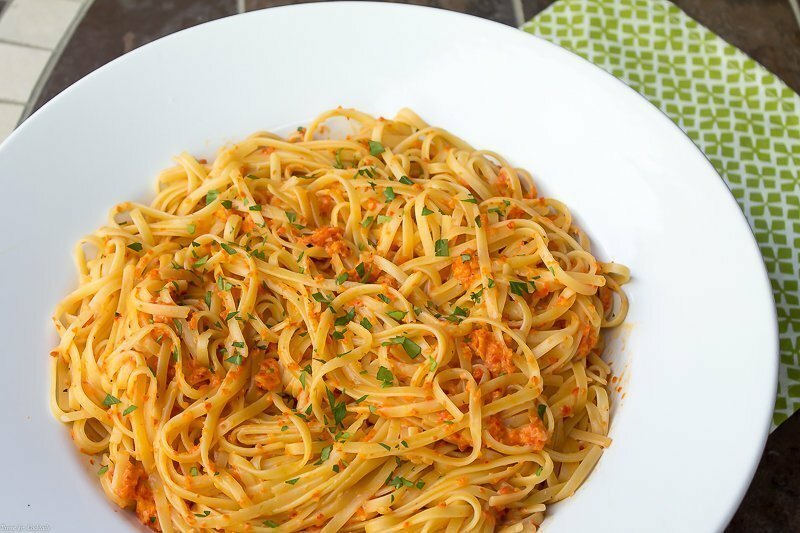 This delicious Creamy Roasted Red Pepper Linguine only has 5 ingredients and takes less than 15 minutes to prepare. Perfect for busy weeknight meals! Yesterday I attended a blogging conference with my gal pal Cathy from Our Mini Family and several other local bloggers. It was a long day of learning, but we had a blast discovering new ways to grow our businesses. Afterwards we went for drinks, and if you follow me on SnapChat you saw some of our antics! 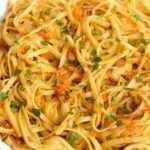 [bctt tweet=”Creamy Roasted Red Pepper Linguine #5ingredients #15minutemeal #pasta #weeknight”] Needless to say Paul and I consumed a few more cocktails once I was home and stayed up late watching movies. Once again, great fun but it made getting up this morning a little tough. Driving the kid to school at 640am isn’t my favorite part of the day… even though it really does give us a chance to have mom/son bonding time! With a busy work day, laundry and errands to run cooking was not high on my list today. 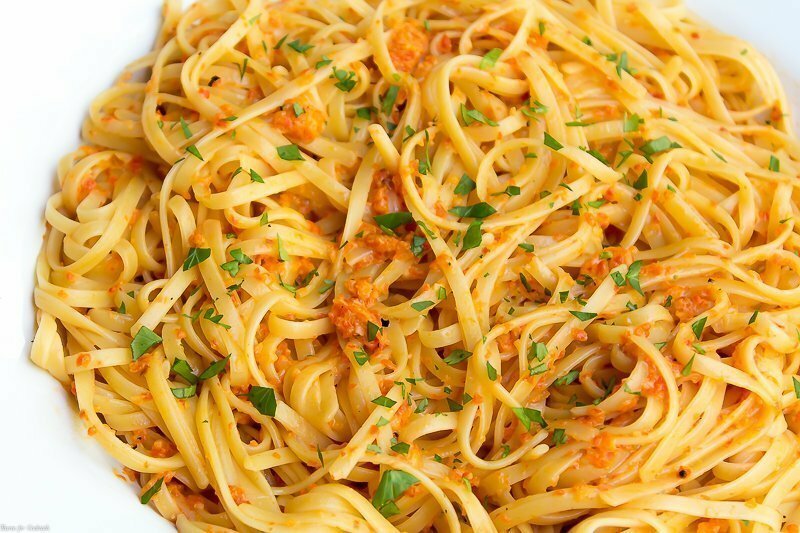 Luckily this Creamy Roasted Red Pepper Linguine is super easy to make. Serve with a simple salad or garlic bread and dinner is on the table in about 15 minutes! 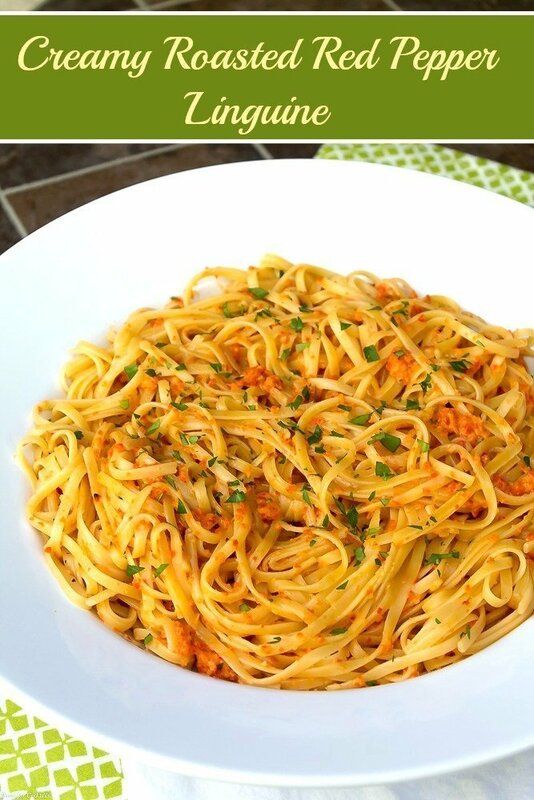 This delicious Creamy Roasted Red Pepper Linguine only has 5 ingredients and takes 10 minutes to prepare. Perfect for busy weeknight meals! While pasta cooks, add red peppers, shallot and garlic to a food processor. Pulse until pureed. Heat a large non-skillet over medium heat. Add pepper mixture and half and half. Cook 2-3 minutes. Salt and pepper to taste. Add pasta and cheese to skillet, toss to coat. *post contains affiliate links. Purchasing items through the link doesn’t cost you more, but I make a small amount for the referral! 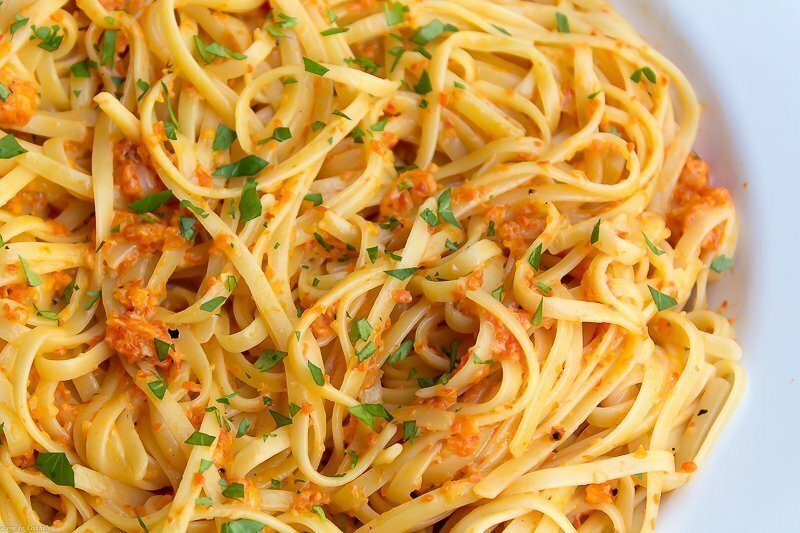 I am sitting here salivating–this linguine recipe looks absolutely amazing! Can’t wait to try it! Yummy yummy for your tummy! This looks delicious and I definitely want to try it. For some reason though my computer screen isn’t showing me how many cups of half &half your recipe calls for. Can you tell me so I can make and eat all of this in one sitting? Thanks! Pinning! Thank you so much! I’m sorry you can’t see part of the recipe! It’s takes 1/3 cup of half and half. Let me know what you think! Looks awesome. I’m a big fan of quickie pastas. Funny enough, I make a similar pureed roasted red pepper sauce for grilled pizza but never thought to use it on pasta! I think I’d add some red pepper flakes flakes as well. Absolutely! You could try parmesan, or even a sharp provolone.